OnePlus has left its footprints in the smartphone market with their prodigy flagship phone, the OnePlus 5T. The company claims that they have already received the set target for the OnePlus 5T sales. Now reports cite that this is the reason that the company might be planning an early release of their 2018 flagship phone, the OnePlus 6. While this might be good news for the people who have been waiting for the launch of the OnePlus 6, it is quite early for the launch as OnePlus has been previously known to launch new phones in the month of June. Although, we get to the see that OnePlus 5T has gone Out of Stock in the USA. In India, the sales of the phone continue smoothly. As per Engadget, the OnePlus 5T in North America will not be available for purchase going forward and the company already confirmed that it has reached the expected sales mark. The phone which took the world by storm and was compared to the likes of iPhone X is available in India in two variants – a 6GB RAM and 64GB internal storage model which is priced at Rs 32,999 and another variant with 8GB RAM and 128GB internal storage for Rs 37,999. However, presently the 128GB version is seemingly Out of Stock on Amazon India too. People can purchase the phone in India via OnePlus store or Amazon India. This news although might be shocking for someone that OnePlus went out of stock by completing their sales number, however for people who have been following the brand since the beginning it’s not at all hot stuff since the company has done the same with the OnePlus 3T and also with the OnePlus 5 in the past. OnePlus’s CEO Pete Lau told the media in January this year that the OnePlus 6 is expected to be out in the second quarter of this year, however, the information didn’t actually specify when. 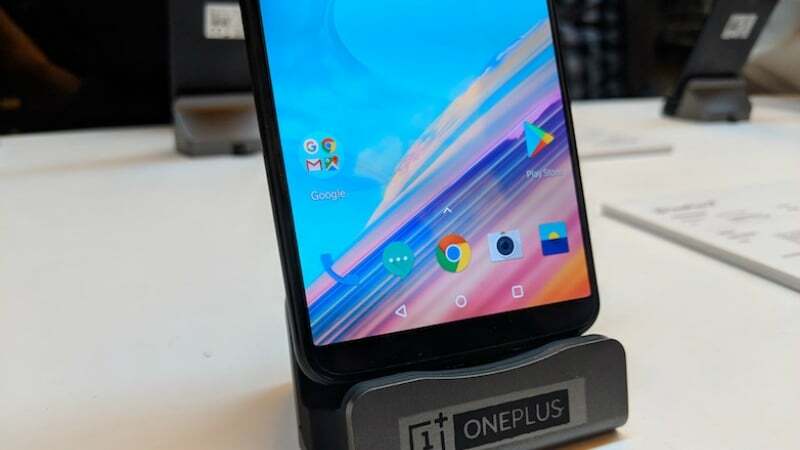 While the company has been known to launch devices in the month of June every year, this new situation of OnePlus 5T going out of stock might hasten up the launch of OnePlus 6. The new phone by OnePlus might tell a whole new story in terms of specifications. We got to take a look at the latest specs of OnePlus 6 by the leaked specifications sheet which surfaced last week. According to the leak, the OnePlus 6 will probably sport a 6.28-inch AMOLED display with a 2280 x 1080 pixel resolution and will be driven by the massively powerful Qualcomm Snapdragon 845 processor. The device will come packed with 6GB RAM and 128GB storage which is speculated to be non-expandable. Speaking about the software, the phone will be running Android 8.1 Oreo with the OxygenOS running on top of it, and the battery will be 3450mAh accompanied by OnePlus’s famous dash charging feature. As for the Camera, the OnePlus 6 is said to be equipped with a dual camera setup consisting of a 16MP and 20MP sensor in the rear and a 20MP sensor on the front side. 128GB is out of stock in Amazon and only 64GB version is being sold.. OP6 will arrive soon! OnePlus please copy only the good features, Notch is a bad idea. You are going to pull a Oneplus 2 again.